A variety of services for healing, relaxing and enlightening the body, mind and soul are available in the Soul Space building. The Soul Space is home to Oly Float, South Puget Sound's only float center. Float your stress and physical pain away, enhance your athletic performance, or transcend your mind in one of our custom-designed float tanks. Absorb healing infrared light that produces a host of anti-aging health benefits. Not just for relaxation, infrared has been shown to detoxify, lower blood pressure, purify skin, oxygenate cells, improve circulation, and more. Compliment your float with a soothing massage. Our experienced massage therapists incorporate Swedish, deep tissue, lomi lomi, and other massage techniques as a lead-in to or follow-up after your float session. Our craniosacral therapists can help optimize circulation of cerebro-spinal fluid and enable optimum connectivity with your nervous system. Release your emotional baggage and other trapped energies weighing you down, and discover your pure self again. 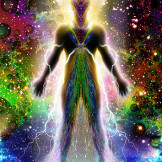 This energy body counseling is an excellent compliment to floating.